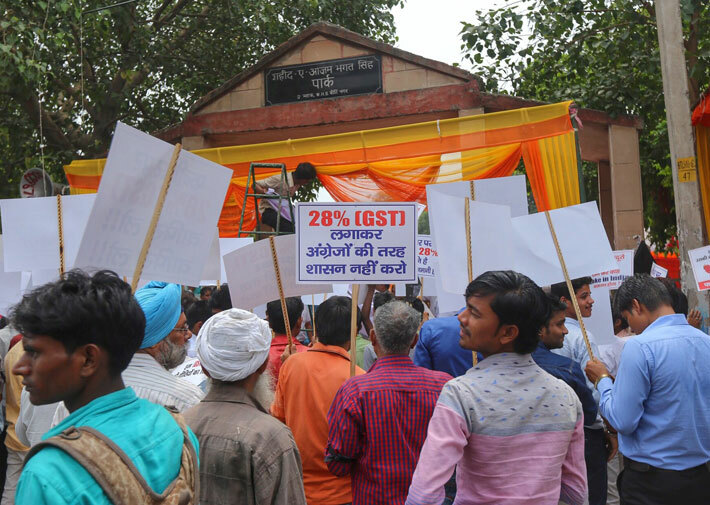 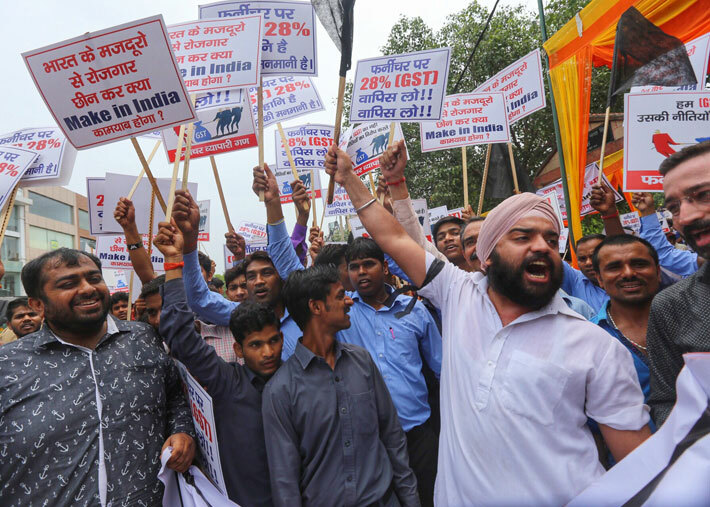 More than 300 furniture traders, manufacturers and shop owners took to the streets of Kirti Nagar in the national capital on Wednesday, to protest against the government’s move to levy 28% GST on furniture. 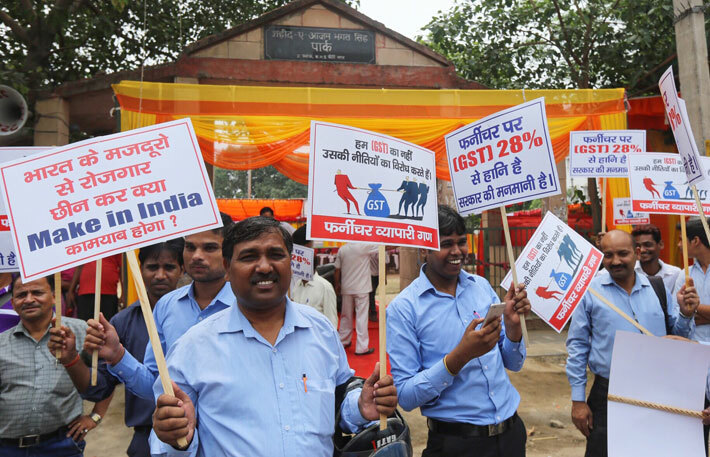 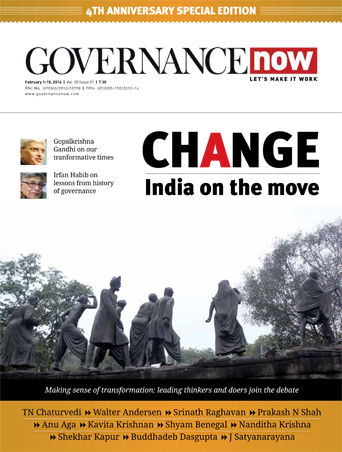 The protest – which was organised by the Delhi Federation of Furniture – demanded that the tax rate be lowered to 18%. 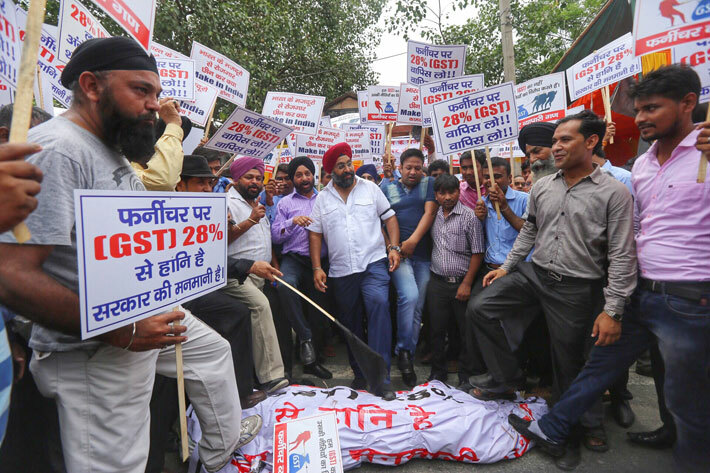 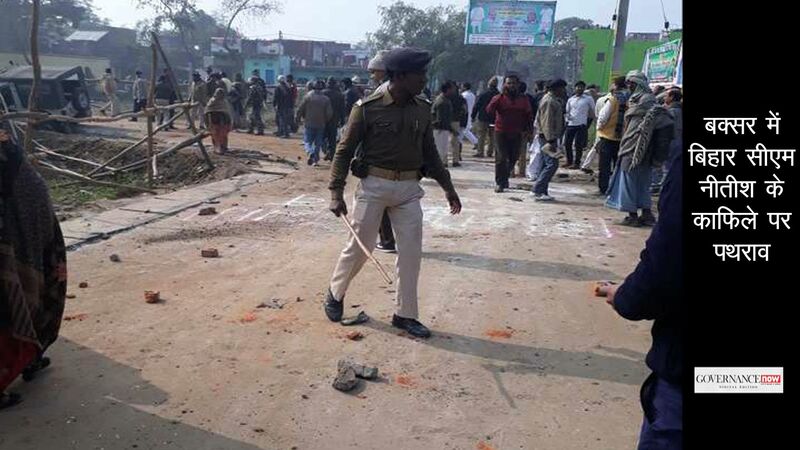 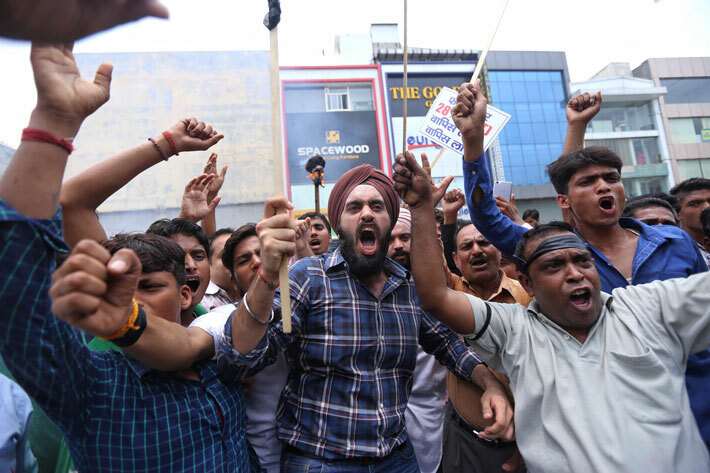 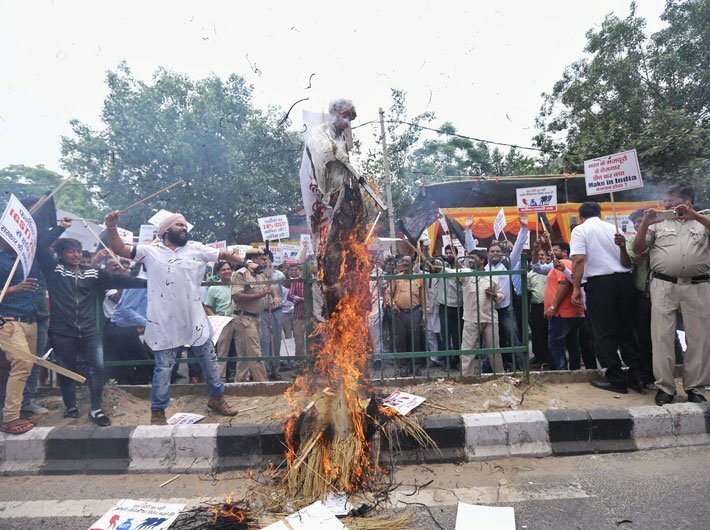 The protesters, who came from all across the country, burned effigies of GST and shouted slogans on the arbitrariness of the government.